How long it will carry on for we do not know but it’s our responsibility to hand it on. The title of the work is a quote from Sylvia Alexander-Vine, who initiated and participated in the West Hill Community Association, a non-profit association in Brighton, active since the 1970s. It’s in response to the question of what she thinks the future of the organisation looks like, asked during an interview in November 2015. 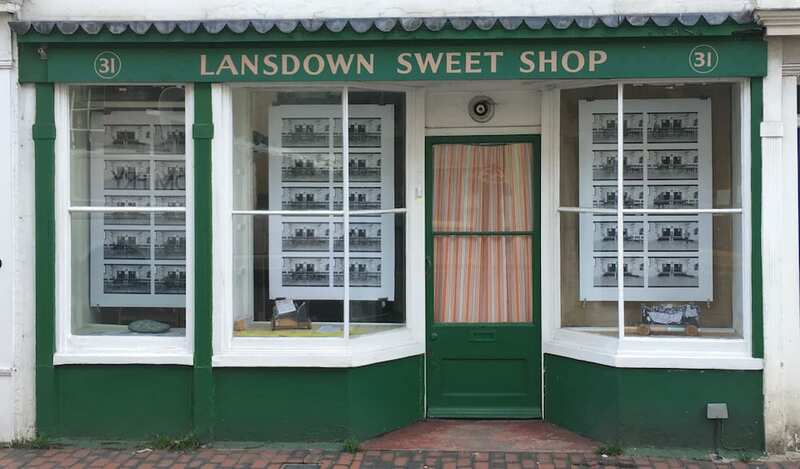 The work shown here in the windows are part of a project exploring unseen, unproductive labour done by individuals to help make a functioning community and organisation. 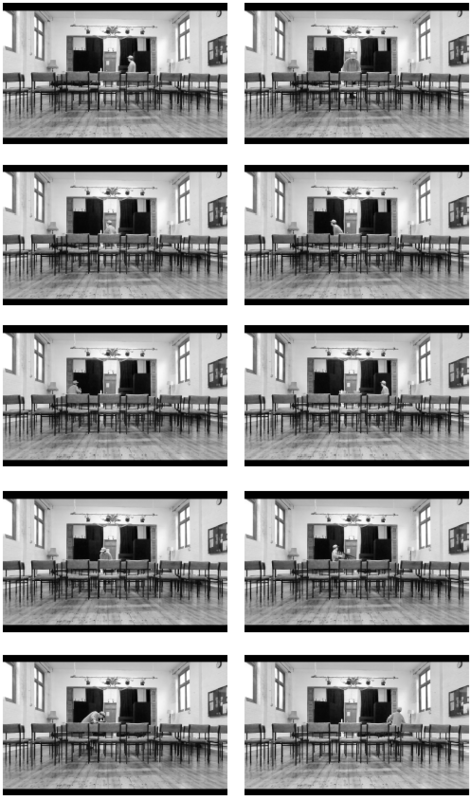 The posters consist of 30 stills from a 15 min long performance video piece performed at the West Hill Hall in Brighton, made along side an interview with Sylvia Alexander-Vine. 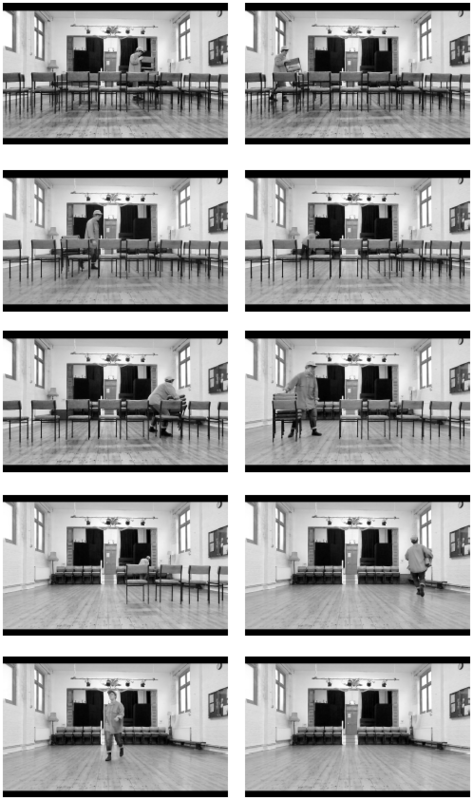 In the video performance the artist reenacts the work done by people when a gathering takes place at the hall, the preparations as well as the work afterwards. Central for the work is a list of rules used at West Hill Hall to be followed by everyone who uses the space. Number four concerns the way in which the furniture should be placed after being used. This is the third time parts of the project is being shown to the public. The intention is to exhibit it in spaces that has a connection to self-organisation and non-profit involvement, letting the work resonate with the site itself. Louise Waite is an artist and project manager living in Malmö, Sweden. She has been exhibiting as an artist as well as curating events and shows both locally and internationally at institutions like Wellcome Collection (uk), De Le Warr Pavilion (uk) and Kristianstads konsthall (swe). In her art practice she uses sound, text and sculpture as tools to build interactive installations. 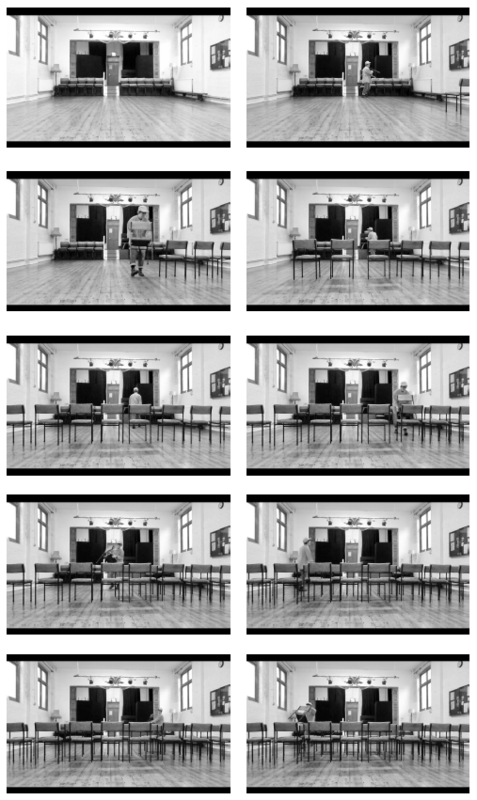 The context in which the piece is being exhibited in is examined and interpreted, giving the audience an intimate, curated experience. She has a great interest in the self-organising within the arts, multi-sensory practices, and affective labour. She holds a bachelor degree in Fine Art Critical Practice BA (Hons) from the University of Brighton (UK) as well as a degree in project management within culture from Kulturverkstan (Sweden). She currently works as the deputy Director at Skånes konstförening and she is the founder and artistic director of Svenska In & Uttrycksbyrån. Thanks to West Hill Hall Community Association, Sylvia Alexander-Vine, Röstånga Konsthall and the Sweetshop.